there is something miraculous in every breath we take. Concentrate your attention on your breathing, there is something miraculous in every breath we take. Time to celebrate oxygen in every breath we take. Oxygen helps the body rejuvenate its self-healing properties. Most of our health problems today are caused by oxygen starvation at cellular level. Boosting the influx of oxygen into our blood flow is known to greatly accelerate recovery times and help our natural immune system do the healing work and improve overall wellness, energy and fitness. Hyperbaric Oxygen Therapy (HBOT) is a procedure in which we breathe pure oxygen inside a chamber with increased atmospheric pressure (up to 3 times higher than normal pressure) to improve the natural healing powers of our body. 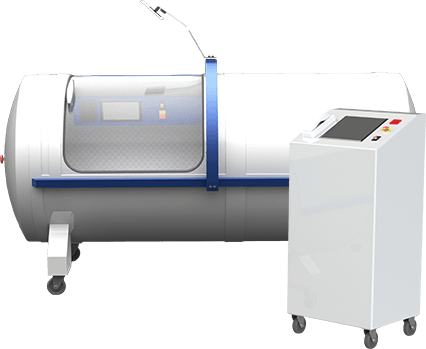 The OxyHelp Hyperbaric Oxygen Therapy chamber is designed and built to very strict medical and technological specifications to bring the healing powers of oxygen for each individual, according to a customized individual treatment protocol. 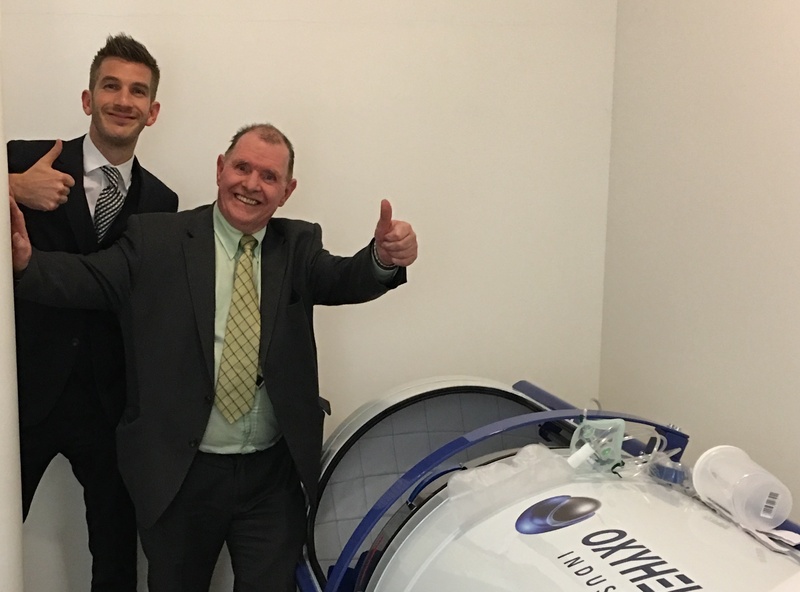 Contact OxyHelp now to learn more about our HBOT chambers, including the methods you can purchase our technology for personal use or invest in our growing business. One of the most efficient and 100% natural methods to reduce inflammation, promote wound healing and increase both physical and cognitive performance. The oxygen intake process inside a pressurized chamber helps the body receive oxygen in supplemented amounts and transport it to blood cells, blood plasma, cerebral-spinal fluid, and other vital fluids. Increased oxygen delivery to the damaged tissues promotes healing and provides relief. Hyperbaric Oxygen Therapy is non-invasive with very few (and rare) potential side effects and contraindications. 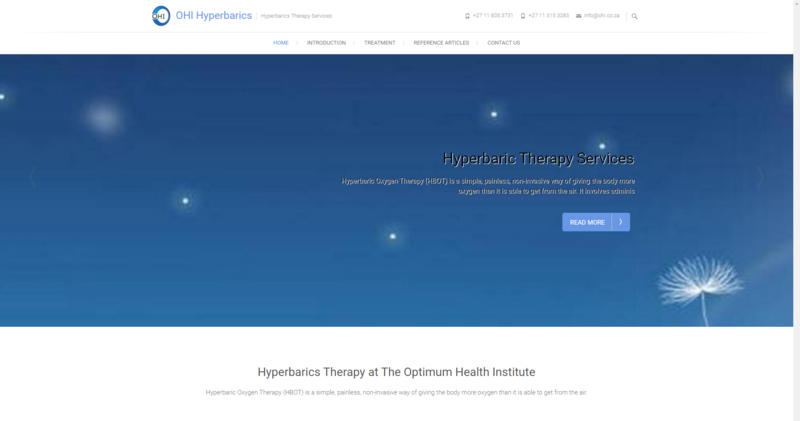 Hyperbaric Medicine is a complementary field of medical interventions that crosses a number of specializations - from neurology, infectious disease treatment, oncology, radiation therapy, rheumatology – to help in the aid of a wide range of medical conditions and enhance the quality of life, either as a primary or adjunctive treatment. Initially developed as a treatment for decompression sickness for scuba divers that resurface and need to regain normal pressure equilibrium, Hyperbaric Oxygen Therapy has found numerous medical applications for the treatment of various conditions. 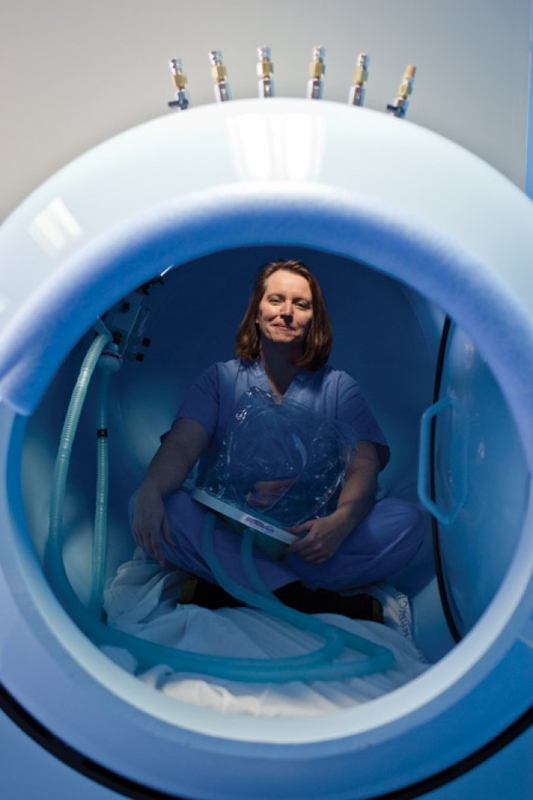 Hyperbaric Oxygen Therapy works wonders to improve recovery for multiple health conditions. Oxygen is greatly required for normal cell metabolism. Hyperbaric Oxygen Therapy has a growing body of research for medical references and it is popularly used by celebrities as an anti-aging treatment, professional athletes to speed up injury recovery and war veterans to relieve chronic symptoms or to potentially treat traumatic brain injury. 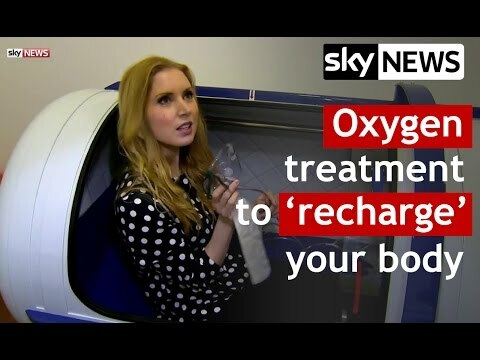 Gemma Morris, a Sky News reporter who previously presented the case of a young boy undergoing hyperbaric oxygen therapy, decides to try it for herself in one of our hyperbaric chambers, the Oxylife I. Inside the chamber, she communicates with Dr. Pender and Tim, the owner of the clinic, through the speaker phone. They answer her questions such as what happens inside the body during the therapy and what are the effects and benefits of the therapy. We purchased our Oxyhelp chamber in September 2016. Before that, our company owned a Japanese model which didn’t work as we expected (there were recurrent small issues which prevented us from using it regularly). Before buying our new chamber from OxyHelp we were able to discuss all the questions that arised during our work with the previous one. 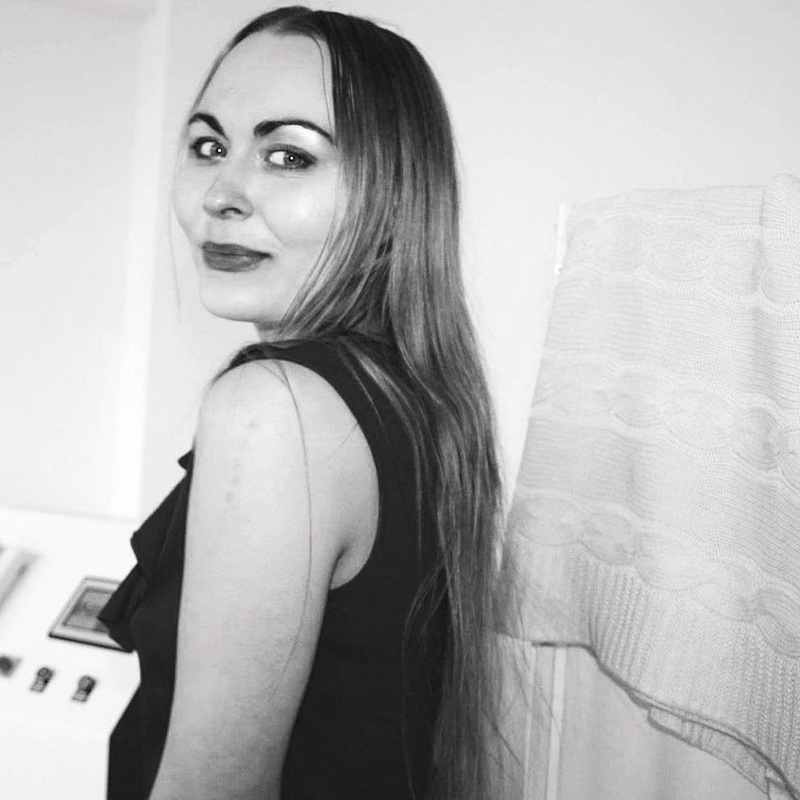 The company owners were very understanding and treated our case individually with regard to all those problems we had with the previous chamber and to our particular (difficult at that time) situation. The staff was always there to answer our questions. In case we needed personal intervention (upgrading of our chamber) it was provided without delay. Besides that there were no problems with our chamber. It is reliable and never disappoints us. Hyperbaric expert Dr Robert Pender talks in this short video about the usage of hyperbaric chamber for autism, stroke, brain damage and cancer patients. We helped install the Oxyhelp hyperbaric chamber, model Oxylife I 80 in Russia, The Republic of Dagestan, for a medical center that provides oxygen therapy sessions for clients of all ages. I was looking for hyperbaric chambers that would meet EU requirements, which can be helpful for people with any illnesses. I found OxyHelp Industry, a manufacturer that values safety and comfort, ease of operation and service, including warranty conditions. The OxyHelp hyperbaric oxygen chamber is perfect for people that need the health benefits provided by Hyperbaric Oxygen Therapy. It is a common belief that we breathe with our lungs alone, but in point of fact, the work of breathing is done by the whole body. All your questions, already answered. What does the standard price for the OxyLife I hyperbaric oxygen chamber include? Price includes the OxyLife I chamber and control unit without the AirSep oxygen concentrator or the cooler. The discount applies to accessories as well. The oxygen concentrator with 10L/min has a running price of 1900 Euro. Do you provide any necessary tubing and masks or are those bought separately? The chamber features standard feeding nozzles on the interior which can connect any type of mask. Find a type you feel comfortable wearing and use it. Please get them locally. In regards to the pressure control inside the chamber – I understand the technology is capable of going to 2.0 ATA, but the software is limited to 1.5 ATA due to pending certification as medical device? Yes, pressure control is only limited by software. The higher pressure settings are protected by manufacturer password. Once inserted, the computer allows pressure control settings higher than 1.5 ATA. The OxyLife I chamber is currently marked and sold as a non-medical device, with a software limitation of 1.5 ATA pressure. OxyHelp chambers are built for 2 ATA max working pressure with automatic controls (computer touch panel). All chambers are built according to PVHO (Pressure Vessels for Human Occupancy) standards (X-Ray, ultrasounds and dye penetrant liquids inspections) by authorized laboratories. Following the CE certification for Class IIB medical devices, the software upgrade for 2 ATA pressure will be available for 2000 Euro. Consequently, Class IIB certified medical device chambers (same product, current model) will have the price increased by 35%. CE certification for Class IIB medical devices will be available in the near future. If no assistant is present, depth pressures and session times of are pre-programmed on the outside before getting into chamber, then the patient simply pushes the start button inside? How fast is the depressurization with the emergency stop?